While Iranian MPs are requesting that judiciary temporary suspends executions for minor drug charges, a proposal to amend the law and reduce execution rates returns back to the parliament for some changes. Iranian Parliament’s Judiciary Commission has called on the judiciary to impose a moratorium on the execution of all death sentences in connection with drug convictions until the finalization of the proposed changes to the penal code as well as the law governing substances of abuse. There are 5000 prisoners on death row in Iran awaiting execution for drug related offences and this proposal if approved could save many lives. The proposal that was introduced by 170 MPs, has come to be known as 170 MP Proposal and it seeks to reduce convictions and executions for minor drug charges. Meanwhile the proposal that was set to be finally voted on 7 June 2017, returns back to the parliamentary debates. With some new changes proposed on 9 July 2017, the final voting is postponed until further notice but many MPs except a vote by the end of July. The new changes involve minimum amount of drug sales, production and trafficking for execution. As it is set now, the proposal for amending the code find execution appropriate if the charge is related to sales, trafficking and/or carrying of more than 100 kg of “traditional” (natural) narcotics or psychoactive substances and two kg of synthetic psychoactives/narcotics. On 9 July, Hassan Nowrouzi Iranian Parliament’s Judiciary Commission Spokesperson told “Khane-ye Mellat”, the official media of the parliament that the new changes are all about the exact measurements to be added to the code after revisions are approved. According to Nowrouzi the proposal also plans to amend the law so that charges related to production, distribution, sales and trafficking of narcotics, hallucinogens and psychoactive substances that are synthetic is punishable by death only if the amount exceed 2 kg. Nowrouzi explains that by synthetic, the law means heroin, morphine, cocaine and the like. This proposal has to yet get voted on. The initiative to amend the laws governing trafficking of substances of abuse was proposed in 2015 and in 2016 the proposal was approved for the first reading. Ever since, the 170 MP Proposal is floating around in parliamentary readings with changes being introduced every once in a while. In the meanwhile the Iranian Parliament’s Judiciary Commission has called on the judiciary to impose a moratorium on the execution of all death sentences in connection with drug convictions until the finalization of the proposed changes to the penal code in parliament. Currently Iran’s penal code subscribes to capital punishment for most drug related charges. Shargh daily reports that members of the parliamentary commission, Mohammad Kazemi and Mohammadali Pourmokhtar state that the proposal is widely supported in parliament and has a high probability of passing in the near future. Kazemi added that the fate of those who will no longer be executed in the event of the ratification of the new proposal is currently under a shroud of doubt. This has triggered the MPs to call on the judiciary to suspend all executions for drug charges until the Proposal has been passed through proper procedures. The proposal has reportedly passed through one reading however its critics in parliament have managed to delay its final passage with calls for greater clarifications. Kazemi reports that while the proposal is supported by many institutions involved in the battle against drugs, the police and drug task forces are highly concerned that a reduction in punishment would lead to a rise in trafficking activities. It is estimated that 5000 prisoners in Iranian prisons are on death row for drug related convictions. This week Iran’s Human Rights Organization reported that 129 drug related executions have already been carried out in Iran in the first half of 2017. Iran is a major transit and destination point for drug traffickers which has made the fight against drugs a major concern for Iranian authorities. IRI have mostly addressed the drug problem through investment in security and policing as well as issuing heavy sentences for substances of abuse related charges. The large number of annual executions in the country, most of which are for drug related convictions, is continuously being criticized by both domestic and international human rights groups. 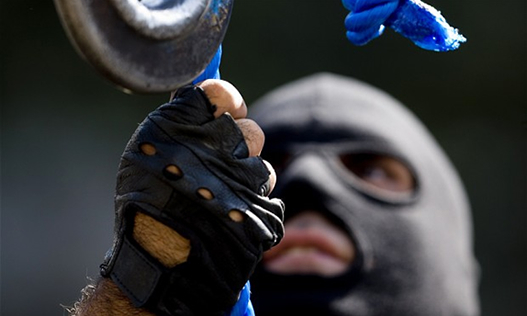 Activism against execution has been successful in triggering a response in parliament which has found more support under the moderate government of Hassan Rohani making the political atmosphere more amenable to achieving a reduction in death penalty sentencing.